What a great day. 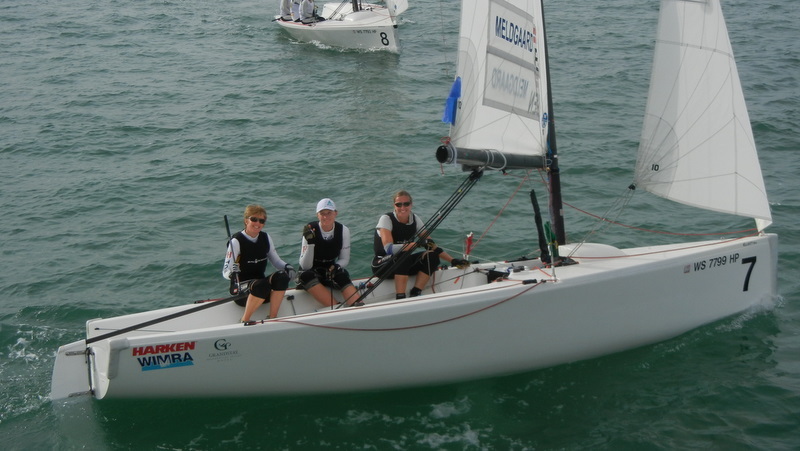 I spent most of it on the KBYC committee boat watching the Olympic Sailing Womens' Match Racing Trials. It was the last day of the event and the main competition was Denmark vs Argentina. 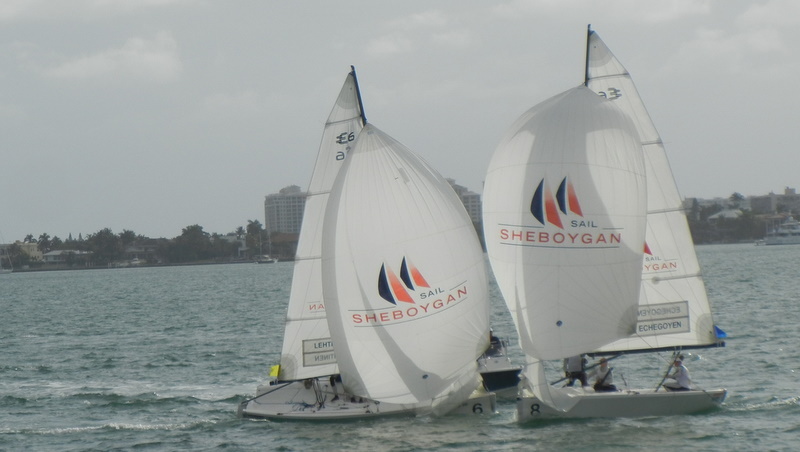 There was a crew of 3 in each Sheboygan Class 6 meter boat. These boats were strictly for racing. The matches were very close and the teams aggressive. Match Racing is very complicated with all kind of rules. The net effect is very exciting. The courses are short and the winner has to win 3 out of 5 races. Denmark won in a match that went all 5 races. The committee boat crew was at least 10 people and they had to work like crazy to keep up with all the scoring that is required. Each sailboat was followed by a "security" boat so the races were very colorful. One woman continually reported on the races using Twitter. Over 250 people watched the Twitter Feed. ESPN won't broadcast these races as it is not a "major sport". I took lots of video and at the awards event the team leader from Denmark copied my SD drive to her computer. Mavis had a good time with Susan at the Symphony and a flea market in downtown Miami. We'll be back to Key Biscayne for the Miami Boat Show in two weeks.